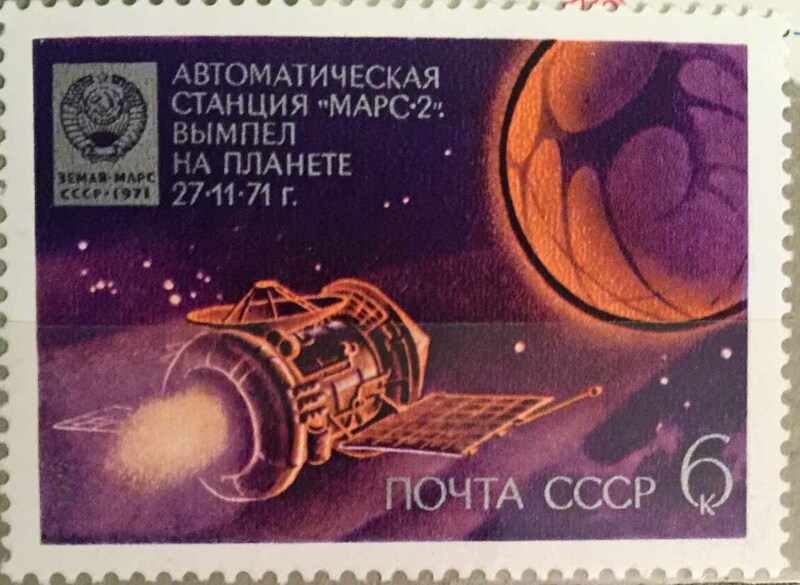 Early Soviet satellites, on a 1 ruble stamp. 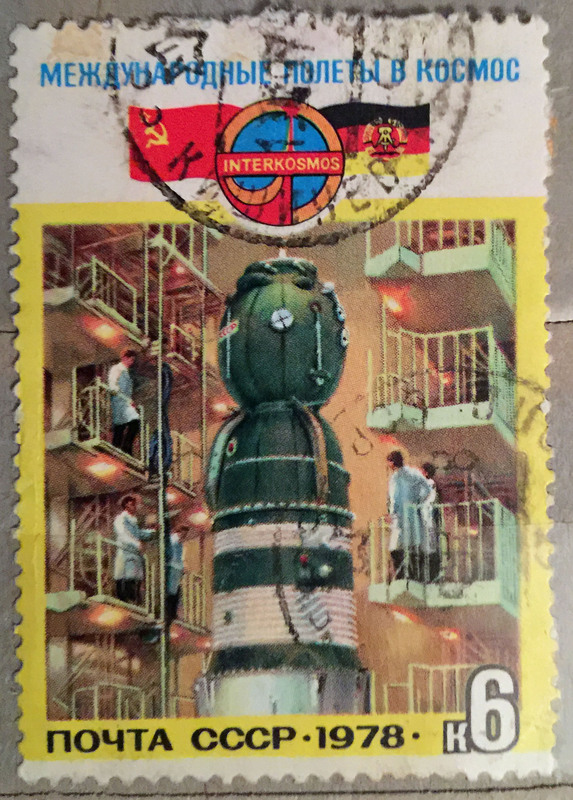 Stamp celebrating the “Intercosmos” mission in 1978, with Germany joining the Soviet Union in a Soyuz capsule. 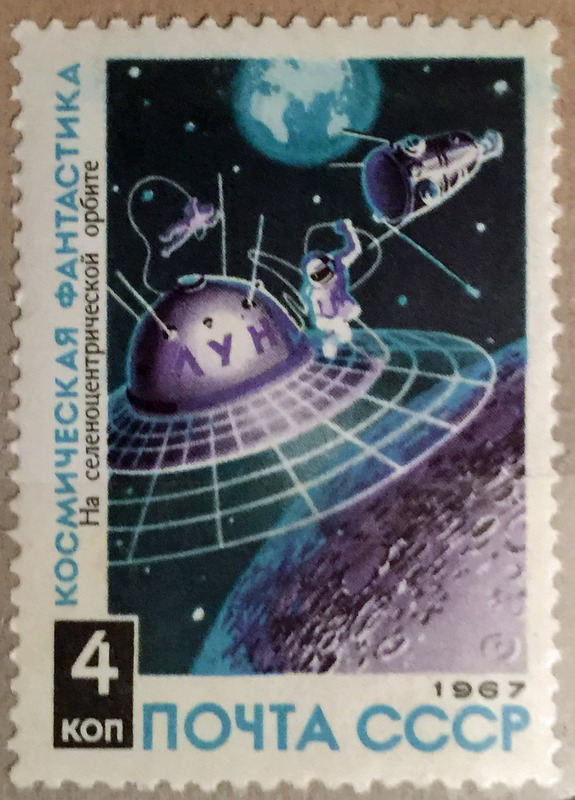 Space probe, antenna and cosmonaut in Lunar Orbit. 4 Kopeck stamp? 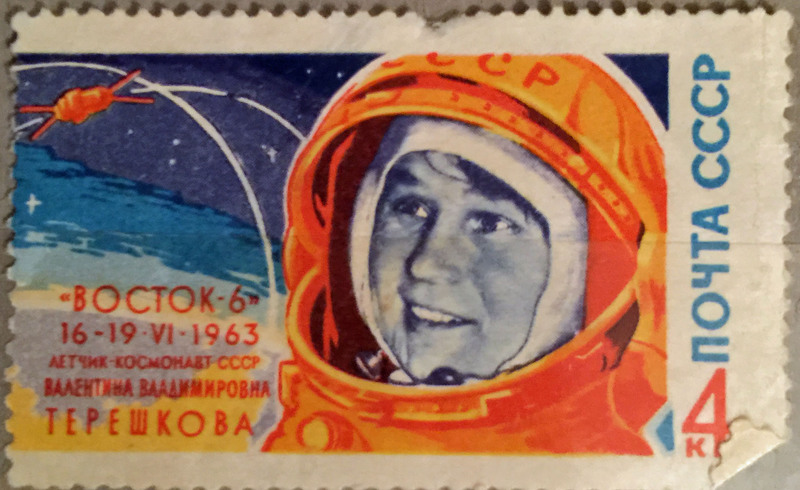 A not very realistic portrait of Valentina Tereshkova, first woman in space, on board Vostok 6. 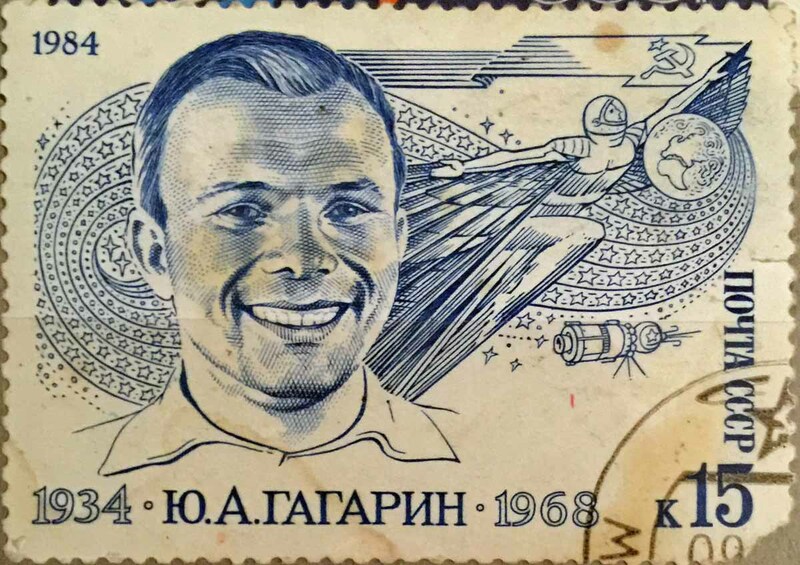 Celebrating the life of Yuri Gagarin in 1984. 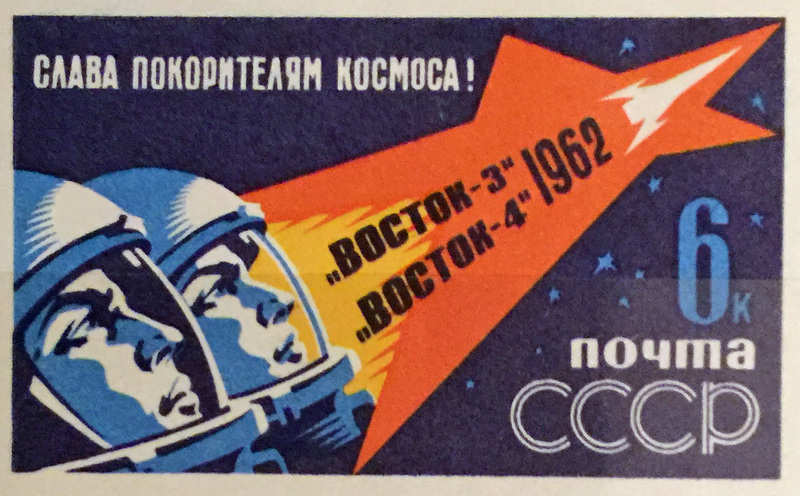 I really like the ascending stylised cosmonaut in the background. 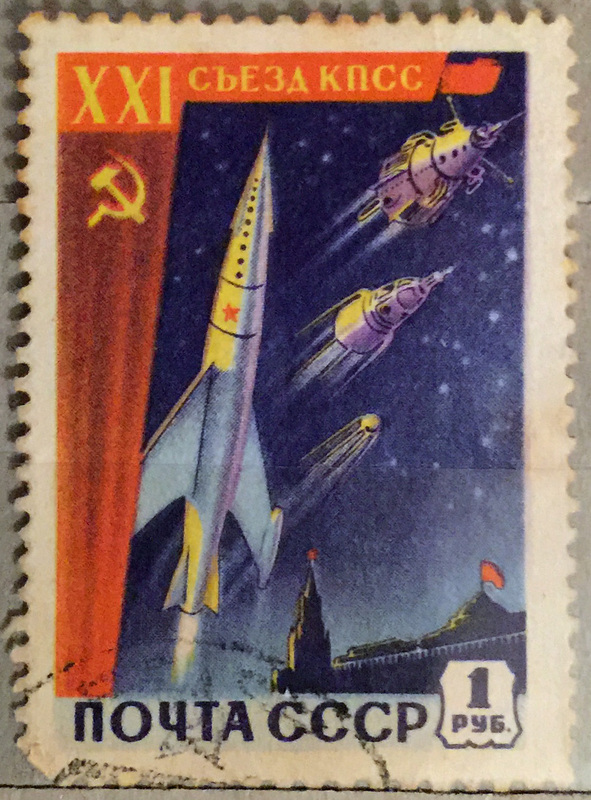 Very much in the style of the heroic propaganda posters, this 6 Kopeck stamp celebrates the Vostok 3 and 4 missions.